Rasberry Pi with Raspbmc and AirPlay Rocks! I’m very excited to play with a Raspberry Pi and see how a tiny computer the size of an iPhone screen would stream to a HDTV movies and other media using AirPlay. If you do not want to get an Apple TV to have AirPlay this is a good alternative. The actual size of a Raspberry Pi is 85.60 × 53.98 mm (3.370 × 2.125 in). This small computer has 2 USB ports, HDMI for video, ethernet port for network and a SD card slot for storage. It just requires a 500 to 700 mA power source to operate which can be provided by common USB ports. Raspbmc is a complete installer of XBMC for the Raspberry Pi. XBMC is a free software media player that is available for Linux, OSX and Windows. Raspberry Pi runs on Linux which can be installed with XBMC. Raspbmc made an installer to run XBMC with a Raspberry Pi. It has a Windows and Linux/OSX installer which is very easy to follow. 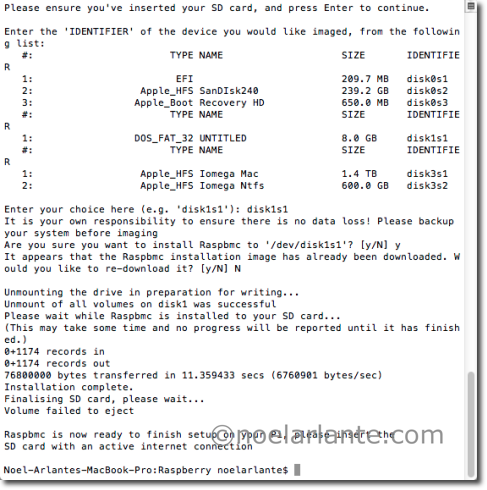 I have an OSX machine so I’ve followed the one for Linux/OS X installation guide from Raspbmc. But there is also available guide for Windows installation here. Basically from your OS X machine, you need to download the installer and then run the installer (install.py) as root. 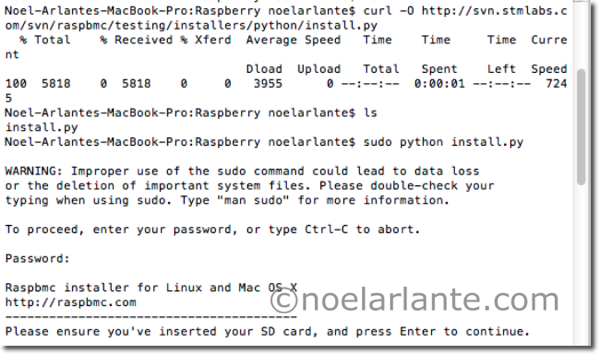 After making sure the SD card is inserted in your OS X machine, you can proceed with the next step which is copying the Raspbmc image to your SD card. 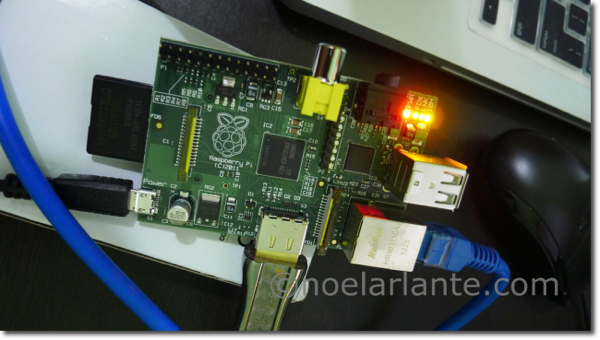 Insert the SD card with Raspbmc image to your Raspberry Pi and power it on. 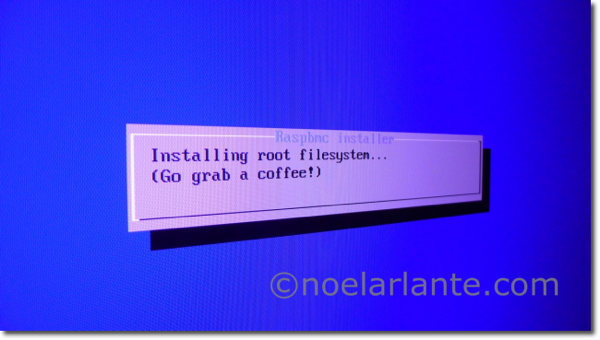 Raspbmc will boot and install additional settings so grab a coffee and wait! 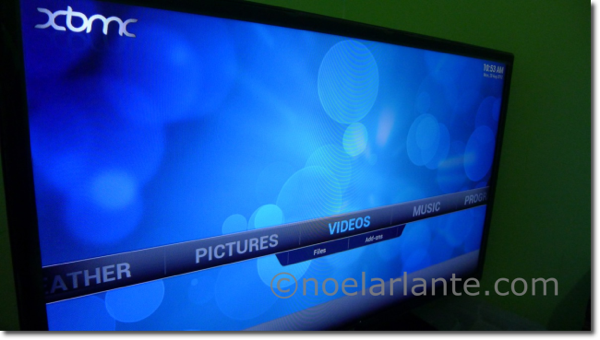 After installation you will see the menu page for Raspbmc. 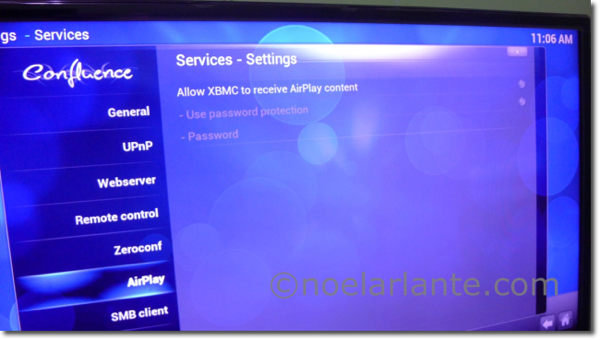 Do not forget to enable the “Allow XBMC to receive AirPlay content” option. Go to Settings – Services – AirPlay. 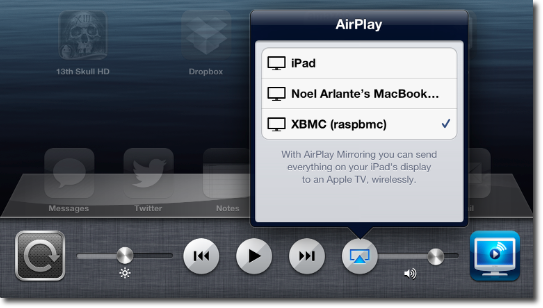 From your iPad or any iOS device with AirPlay you will now have an option to stream to XBMC. 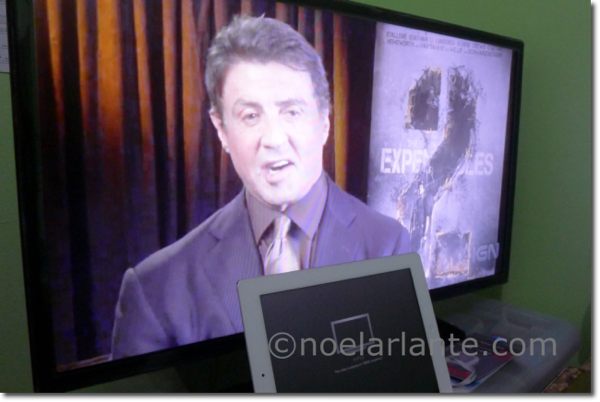 Playing YouTube video from the iPad to a HDTV using AirPlay. 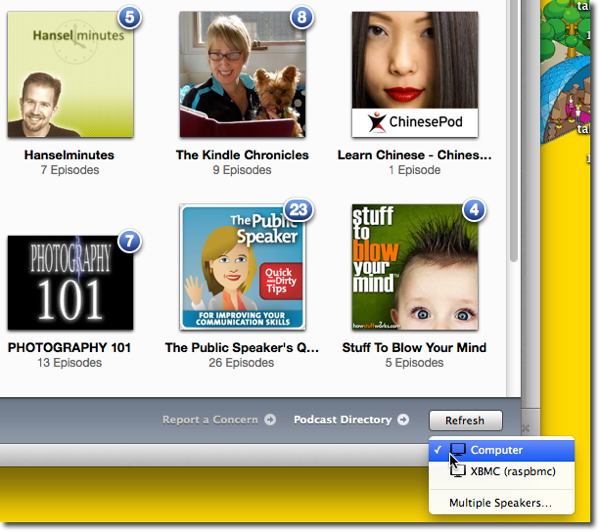 iTunes can also stream using AirPlay your videos and podcasts. 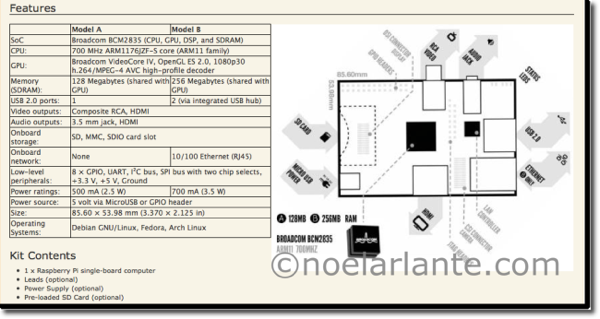 Since my MacBook Pro is not capable of AirPlay (AirPlay only supports Mac models 2011 and up). I’m using Air Video Server App to stream my movies from my MacBook Pro to my iPad and then from my iPad use AirPlay to stream to my HDTV. Thank you to Scott Hanselman’s post on Raspberry Pi with Raspbmc for the information and inspiration 🙂 Raspberry Pi with Raspbmc rocks!